"Apr." redirects here. For other uses, see APR. Aprilis or mensis Aprilis (April) was the fourth month of the ancient Roman calendar, following Martius (March) and preceding Maius (May). On the oldest Roman calendar that had begun with March, Aprilis was the second of ten months in the year. 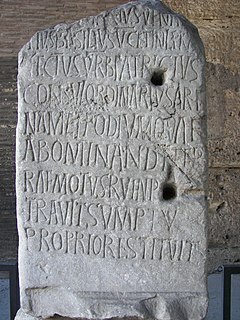 April had 30 days on calendars of the Roman Republic, with a day added to the month during the reform in the mid-40s BC that produced the Julian calendar. April was the second month of the earliest Roman calendar,  before Ianuarius and Februarius were added by King Numa Pompilius about 700 BC. It became the fourth month of the calendar year (the year when twelve months are displayed in order) during the time of the decemvirs about 450 BC, when it also was given 29 days. The 30th day was added during the reform of the calendar undertaken by Julius Caesar in the mid-40s BC, which produced the Julian calendar. 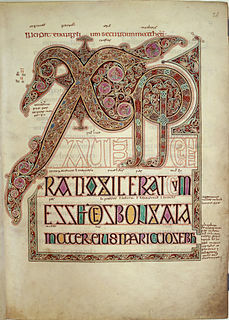 The Reckoning of Time is an Anglo-Saxon era treatise written in Medieval Latin by the Northumbrian monk Bede in 725. The treatise includes an introduction to the traditional ancient and medieval view of the cosmos, including an explanation of how the spherical Earth influenced the changing length of daylight, of how the seasonal motion of the Sun and Moon influenced the changing appearance of the new moon at evening twilight, and a quantitative relation between the changes of the tides at a given place and the daily motion of the Moon. In China the symbolic ploughing of the earth by the emperor and princes of the blood took place in their third month, which frequently corresponds to April. In Finnish April is huhtikuu, meaning slash-and-burn moon, when gymnosperms for beat and burn clearing of farmland were felled. In Catholic and Orthodox tradition, April is the Month of the Resurrection of the Lord. Kamakura Matsuri at Tsurugaoka Hachiman (Kamakura, Japan), lasts until third Sunday. 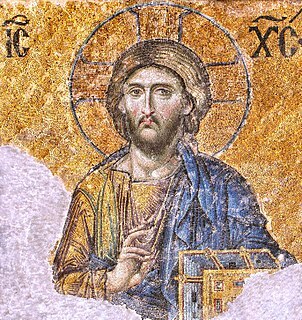 Great Lent, or the Great Fast, is the most important fasting season in the church year in the Byzantine Rite of the Eastern Orthodox Church, Byzantine Rite Lutheran Churches and the Eastern Catholic Churches, which prepares Christians for the greatest feast of the church year, Pascha (Easter). The Paschal cycle, in the Eastern Orthodox Church, is the cycle of the moveable feasts built around Pascha (Easter). The cycle consists of approximately ten weeks before and seven weeks after Pascha. The ten weeks before Pascha are known as the period of the Triodion. 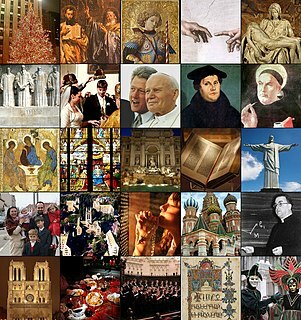 This period includes the three weeks preceding Great Lent, the forty days of Lent, and Holy Week. 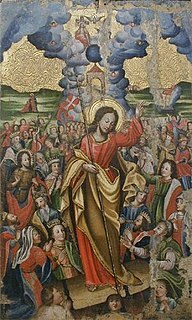 The 50 days following Pascha are called the Pentecostarion. 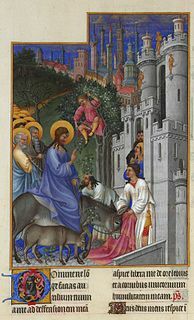 Passiontide is a name for the last two weeks of Lent, beginning on the Fifth Sunday of Lent, long celebrated as Passion Sunday, and ending on Holy Saturday. ↑ "April" in Chambers's Encyclopædia . London: George Newnes, 1961, Vol. 1, p. 497. 1 2 3 4 One or more of the preceding sentences incorporates text from a publication now in the public domain : Chisholm, Hugh, ed. (1911). "April" . Encyclopædia Britannica . 2 (11th ed.). Cambridge University Press. p. 230. ↑ "Koledar prireditev v letu 2007 in druge informacije občine Dobrova–Polhov Gradec" [The Calendar of Events and Other Information of the Municipality of Dobrova–Polhov Gradec](PDF) (in Slovenian). Municipality of Dobrova-Polhov Gradec. 2006. Archived from the original (PDF) on November 2, 2013. ↑ "U101 College Search". Archived from the original on 2012-09-11. 1 2 Seol Song Ah (7 December 2015). "Kim Jong Un's birthday still not a holiday". Daily NK. Retrieved 13 January 2017. Wikimedia Commons has media related to April . Wikivoyage has a travel guide for April .